After the important Parish Share Review Diocesan Consultation in March, Bishop Julian noted how ‘heartening and positive’ discussions were on the day. St Christopher’s School in Accrington was the venue for the event on March 23, which replaced the usual Diocesan Synod meeting. This meant the meeting was open to all, to maximise the opportunity for as many people as possible to engage with the decision-making process and it was attended by around 230 people from parishes across Lancashire. This page includes audio of the key parts of the event (links below) specifically each of the options proposed by the Parish Share Review Group (PSRG). The PSRG, chaired by Archdeacon Mark, has been meeting regularly for 18 months and produced a detailed report on three possible options. Option 1: Presented by Nick Aves, Deputy Chair of the Board of Finance. 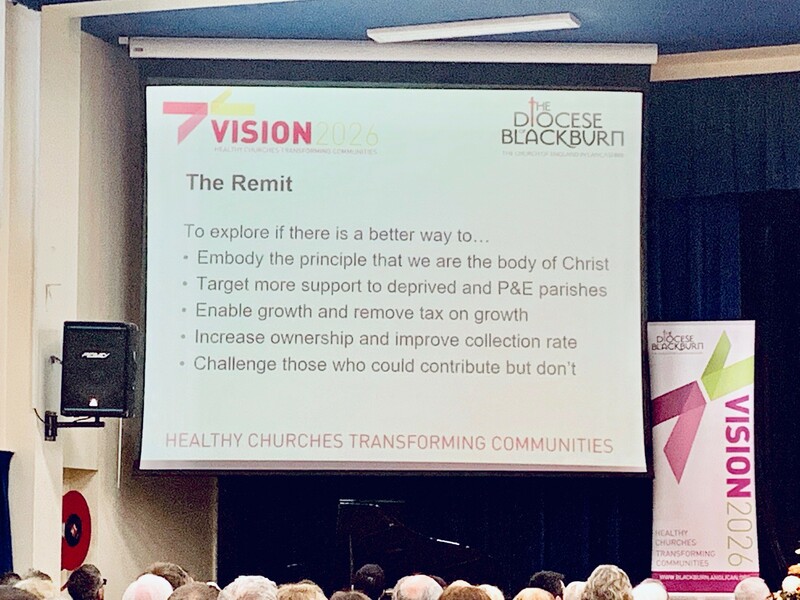 A ‘fairer’ formula – changes the existing parish share formula by adding clergy housing as a fixed ministry cost, thereby reducing the amount calculated per regular attendee. Parishes in the bottom 20% for deprivation are exempt from contributing to the parish share relief fund. Option 2: Presented by Archdeacon Mark. Instead of a formula, each parish is asked to meet its own cost of ministry (including an allocation training future clergy and central diocesan costs) and to consider making a generous offer to help other parishes in need. This removes the regular weekly attendance factor from the calculation of parish share. Option 3: Presented by Rev. Nancy Goodrich. No change – retains the share formula as used to calculate the 2019 share. After the three presentations there was a straw poll on each option. All three options had supporters but option 3 was clearly preferred by the meeting. The next steps are for the Bishop’s Council to consider the full report by the PSRG, taking account of the straw poll taken at the March meeting, before a final decision is made by the next Diocesan Synod in July of this year. 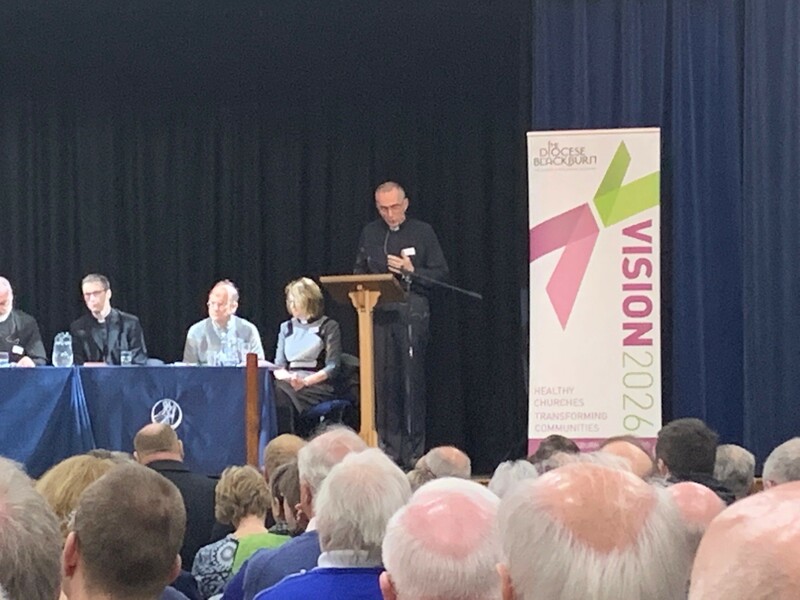 After the meeting Bishop Julian said: “This was an opportunity, under God, to discuss the best way to resource God's work in the Diocese and maintain stipendiary ministry, which is at the heart of our vision for growth. Are you getting ready for changes in Data Protection law?